Moderate drinking can help to reduce your risk of Type-2 diabetes. A 2005 Dutch study that looked at 369 862 people over 12 years found that moderate drinkers are at a 30% lower risk of developing Type-2 Diabetes. e researchers, from VU University Medical Centre in Amsterdam, found that “moderate alcohol consumption can play a part in a healthy lifestyle to help reduce the risk of developing diabetes Type-2”. A study published in the 2010 journal Alcoholism: Clinical and Experimental Research found that those who drank in moderation were likely to live longer than those who abstained. The study looked at 1 824 people over a 20-year period and found that 69% of those who didn’t drink died during the period, compared to the 41% of moderate drinkers. The reasoning, explained lead researcher Charles Holahan, was that those who had the occasional drink were more likely to be more social, and have higher income and education levels. However, alcohol can make you consume 30% more food than usual. Research published in Obesity found that being “mildly intoxicated” can make a woman’s brain more sensitive to food aromas. The research found that smelling food increased brain activity in the hypothalamus. This area of the brain is composed of a number of different clusters of cells – some of these increase how much we eat, while others decrease how much we eat. This area in the brain is believed to play a role in how alcohol alters our reaction to food and why we are more likely to be tempted to eat more. Click here to find out how alcohol can lead to weight gain. So how is alcohol good for you? Dr Jeremy Spencer from Reading University in the UK gave rats champagne every day for six weeks, and then had them complete a maze. Without the champagne they had a success rate of around 50%, which increased to 70% after the drink. 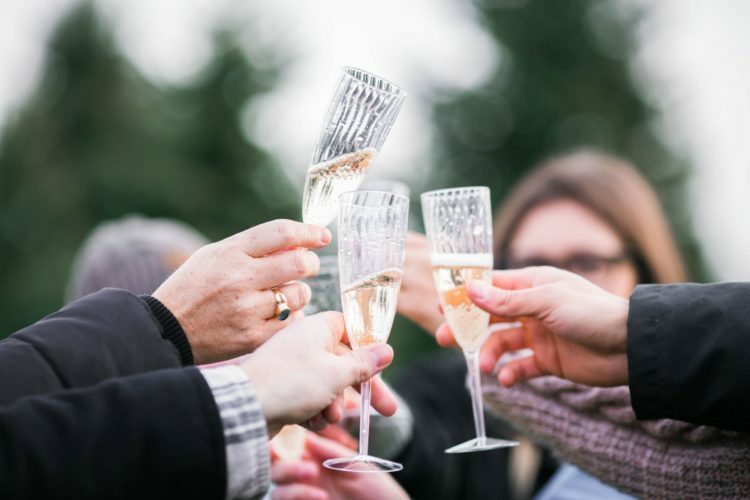 “The research is exciting, because it illustrates for the first time that moderate consumption of champagne has the potential to influence cognitive functioning such as memory,” reported Spencer. Rooibos, the South African superfood, has been hailed by international mixologists as this season’s favourite cocktail mixer. Ernest du Toit, spokesperson of the SA Rooibos Council (SARC), explains that, given the fresh, full and natural flavour profile of rooibos, you don’t need a lot of different ingredients to achieve the perfect cocktail indulgence. “Rooibos tea is an easy and effective way to boost any cocktail. Subtleties of rooibos tea play well off vodka, and specifically gin, since the latter has a lot of the same characteristics as the tea,” he says. Often cocktails are laden with calories – however, rooibos, says Du Toit, contains no fat or carbohydrates, which makes this a weight-conscious choice. Plus, rooibos contains disease- preventing antioxidants that help to protect against cancer, heart disease and even stroke. Ashleigh Caradas, a dietician in private practice in Johannesburg, says beer contains more protein and B vitamins than wine. She quotes a 2001 antioxidant food review that found that beer contains double the number of antioxidants as white wine, but half of that of red wine. Antioxidants found in beer are different, as the hops and barley used in the production of beer contain flavonoids different from those found in grapes. Be careful though. Click here to find out how alcohol can be more damaging to your brain than marijuana.